SIP No. 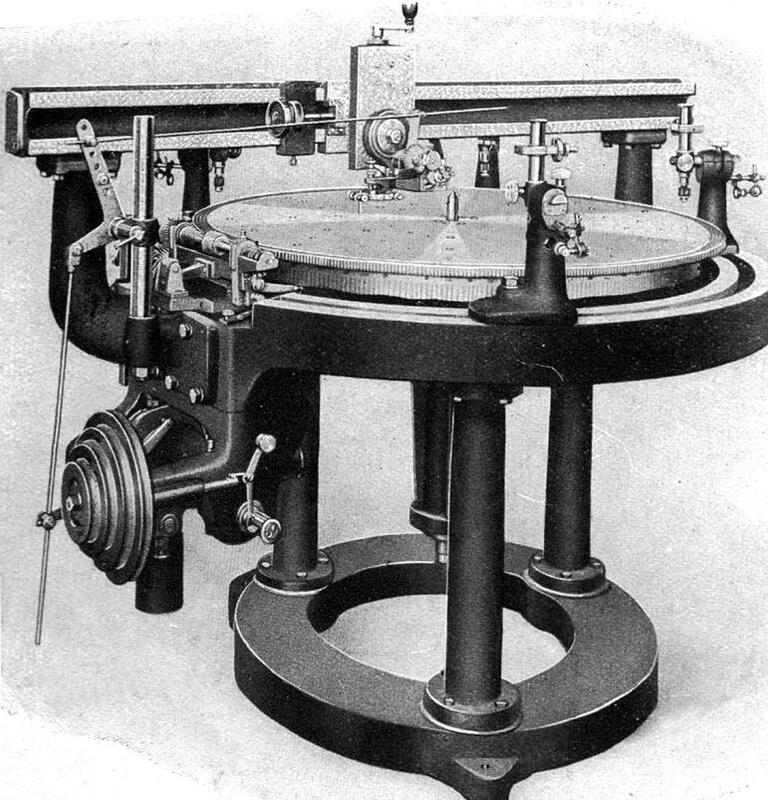 2 lathe 80 mm centre height and 200 mm between centres. 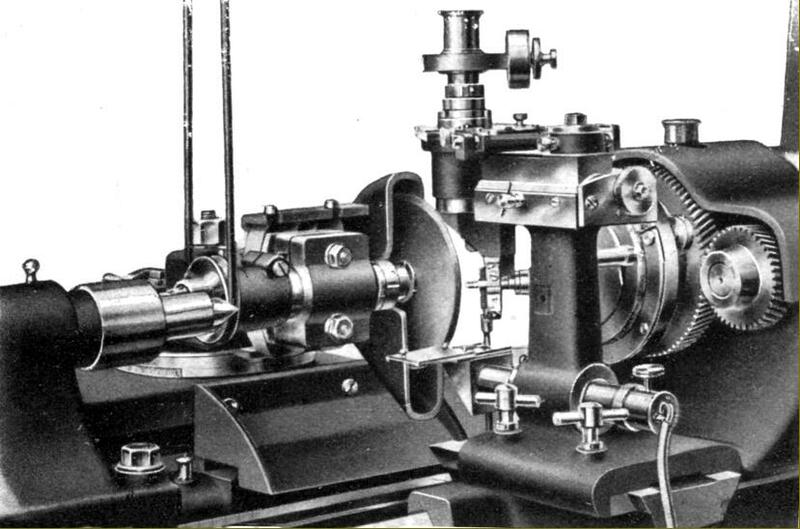 Not an ordinary high-precision lathe, but one specially constructed for the automatic correction, checking and measuring very high quality screws, thread gauges and taps, etc. 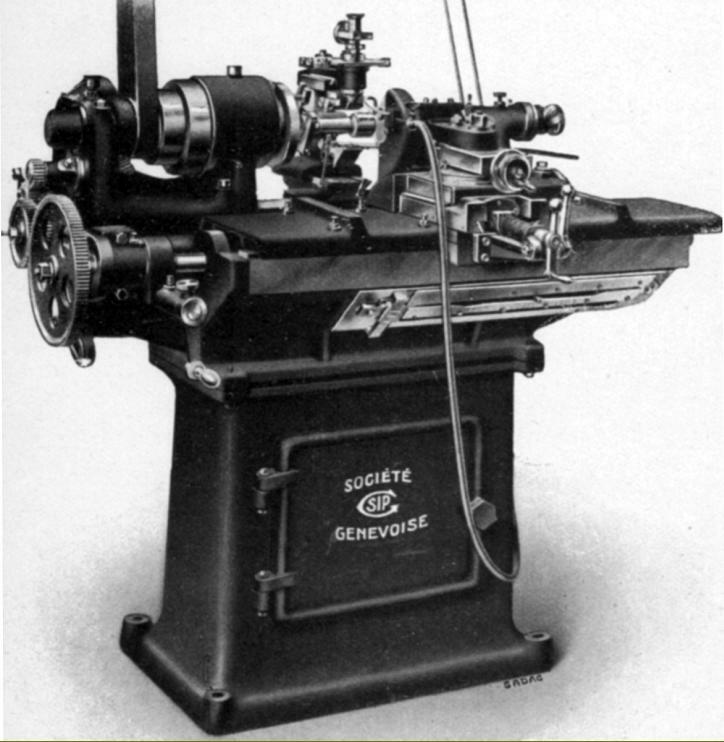 It was fitted with an automatic leadscrew corrector and equipment that allowed it to compensate for errors developed, for example, during hardening of the parts being tested.. Like that on an ordinary G.Boley precision lathe, the leadscrew ran down the centre line of the bed and was completely protected from the wearing effects of swarf and dirt. 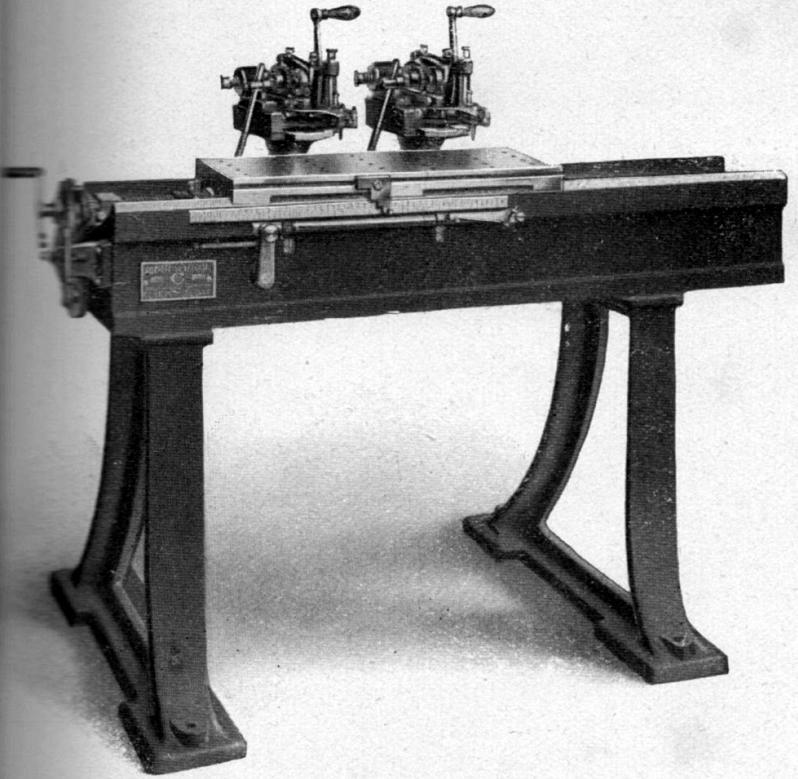 This SIP lathe, and the one shown below, make an interesting comparison with that made by Bryant Symons in England. SIP No. 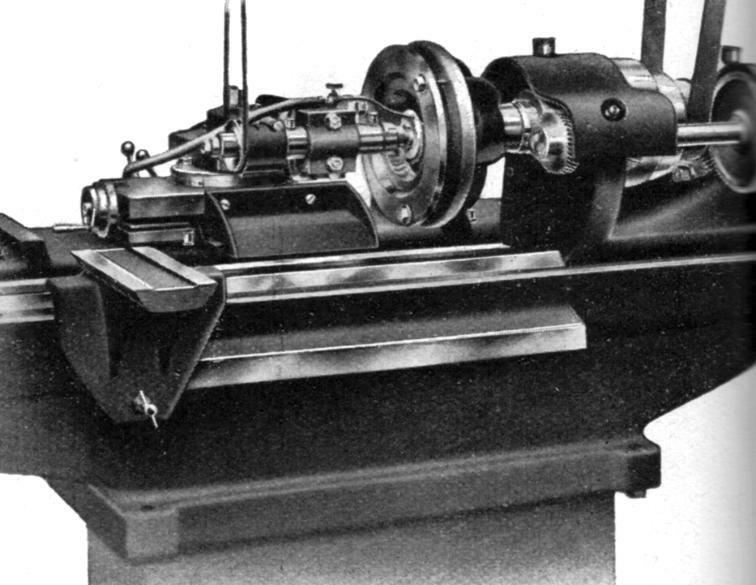 4 special lathe with a 135 mm centre height and 500 mm between centres. 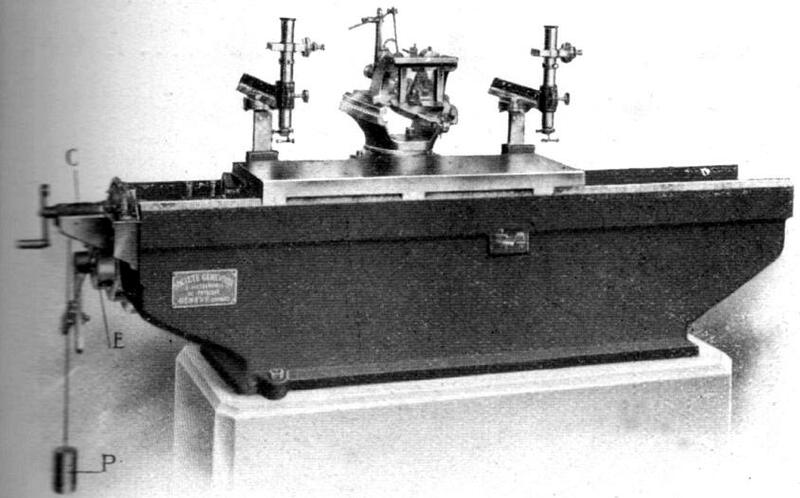 A larger version, with a 155 mm centre height, was also listed. 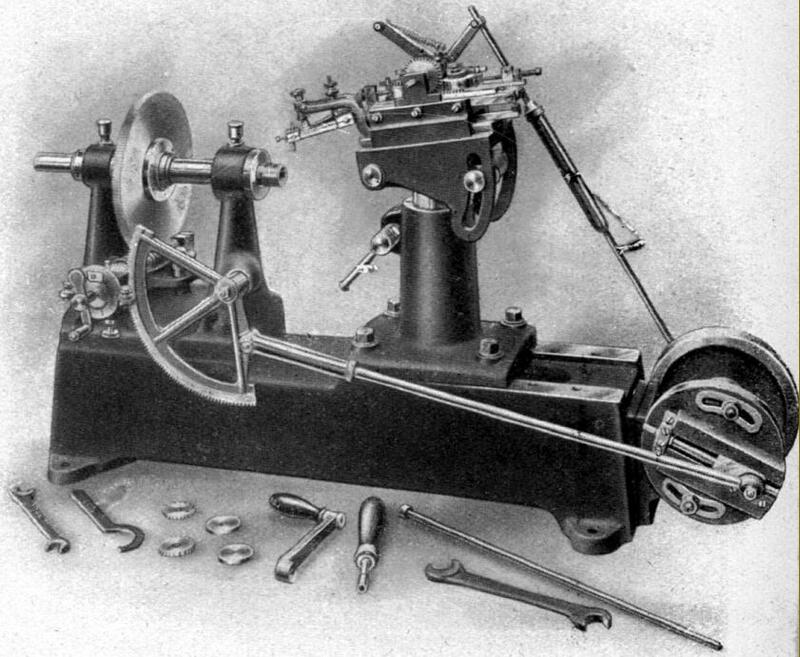 Like the Bryant Symons lathe this SIP lathe had separate front and rear bed sections for carriage and tailstock - and may also have been fitted with an automatic forward/reverse mechanism to the carriage drive. 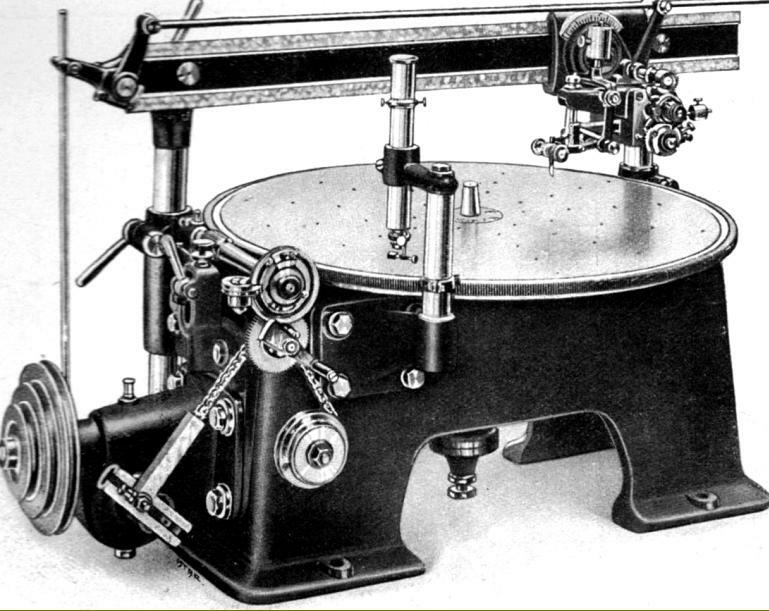 SIP high-precision "Universal Circular Dividing Machine" - fitted, as were all such circular and linear machines, with corrected leadscrews and worm-wheels.